From the Øιλοκαλíα to Franny’s pea-green book. By Revd Professor ANDREW LOUTH. 1. The influence of the Philokalia in the Orthodox world. THE INFLUENCE OF THE Philokalia can be thought of in two rather different ways. On the one hand, we can think of what one might call the reception of the Philokalia: that is, how it was read, who read it, when and how and into what languages it was translated, whether the selections translated suggest different ways in which the Philokalia has been received and understood. On the other hand, we could think of the influence of the Philokalia in another way: how has the Philokalia affected the way its readers understand the nature of the Christian life, the nature of the Church, and even, in particular, the nature of theology? If we call the first kind of influence its material reception, we might (to use a word that is perhaps a sign of too great a familiarity with the English tradition of the Philokalia!) call the second kind of influence its noetic reception. The material reception of the Philokalia is largely a matter of history — of dates and facts that can be verified, though we shall find that there are, as with any history, issues that can seem more subjective: actual translation may be fairly clear, but a more diffused influence may be more difficult to be sure about. The noetic reception of the Philokalia is a very much more subjective matter; in exploring what is meant by noetic reception we shall encounter claims that really constitute challenges to what we consider Orthodoxy to be, what we consider theology to be. However, the material reception or influence needs to be considered first, as it provides a kind of bedrock of verifiable claims, to which the grander noetic claims will need to relate. FIRST OF ALL, HOWEVER, we need to establish what the Philokalia is, what kind of an anthology (which is what the Greek word Øιλοκαλíα means) it is. It is, as Metropolitan Kallistos has put it, ‘[a] vast collection of ascetic and mystical texts by thirty-six different authors, extending from the fourth to the fifteenth century… arguably the most significant Greek Orthodox book to appear during the whole of the four centuries of the Tourkokratia’. [1 – Notes in the text appear at the bottom of this file.] It was compiled by SS Makarios of Corinth and Nikodimos of the Holy Mountain; there are varying accounts as to their respective roles in the production of the work, but it seems clear that, though the initiative and preliminary selection of texts was St Makarios’, St Nikodimos’ role, not least in providing the introductions to the different texts and to the Philokalia as a whole, was significant. The selection of texts seems, however, to have represented an already existing tradition: there are what might be called ‘proto-philokalias’ that still exist in manuscripts, notably in the library of the monastery of Vatopedi, and the translation of the Philokalia by St Païsy Velichkovsky must have been well under way before the publication of the work in Venice in 1782, which suggests that St Païsy was translating a traditional body of material, rather than a selection from the published Philokalia. We are then dealing with a traditional body of Athonite spiritual writings. Caution is required in understanding what that means, for it is also clear that this tradition was not widespread on the Holy Mountain in the eighteenth century; the tradition of hesychasm had shrunk to a trickle was strong enough to nourish the renewal movement among the Kollyvades, to whom St Makarios and St Nikodimos belonged. So, if a tradition, then tradition as a remnant. The actual selection of texts for the Philokalia betrays elements of contingency. One criterion, judging from St Nikodimos’ remarks in his preface to the work, seems to have been current availability; to realize the significance of that criterion, one needs to know something of the extraordinary productivity of St Nikodimos, who, with almost unbelievable energy, had made available an enormous array of resources from the tradition of Greek Orthodoxy: his editions of the canons – the Pēdálion [or “Rudder”; Πηδάλιον, in Greek] – of the huge, ascetic anthology of the eleventh century known as the Evergetinos; as well as editions of the Gaza ascetics, SS Barsanouphious and John; of St Symeon the New Theologian (with Dionysios Zagoraios); and of St Gregory Palamas (which, alas, perished in Vienna in 1798). St Nikodimos was not alone in this work of ressourcement: an edition of one of the saint’s favourite writers, St Isaac the Syrian, had appeared in 1770, edited by Nikephoros Theotokis, and — then, as in the last century — Orthodox patristic ressourcement depended on and was inspired by Western scholarship, which had made available the works of the Cappadocians, St John Chrysostom, St Dionysios the Areopagite, St John of the Ladder, and much of St Maximos the Confessor by the end of the eighteenth century. These saints were all important to St Nikodimos, as we know from his citations of them in his own works, such as a tract, On Frequent Communion, and his Handbook on Spiritual Counsel. Omission of authors from the Philokalia, therefore, does not mean that they were overlooked or excluded; it may simply mean that they were readily enough available already. Nonetheless, it was the Philokalia as published that exercised influence, and we need to look at what this immense body of texts represented. IN SOME WAYS IT might seem obvious: it is a collection of texts, presented in what St Nikodimos thought was their chronological order, culminating in works associated with the hesychast controversy of fourteenth-century Byzantium. That controversy concerned the practice of the Jesus prayer [“Lord Jesus Christ, Son of God, have mercy on me, a sinner”] , and claims made by Athonite monks that through the practice of this prayer they had been granted deification and seen the uncreated light of the Godhead. Barlaam the Calabrian had ridiculed the physical techniques adopted by some of the hesychast monks, and St Gregory Palamas had defended them, though without laying any great stress on such physical techniques. More important, Palamas had made much of the distinction in God between his essence, which is unknowable, and his activities (or energies) in which God makes himself known. St Gregory Palamas is indeed one of the most important theologians drawn on in the Philokalia, and the work does culminate with his writings, and those of his immediate antecedents (Theoliptos, Gregory of Sinai) and supporters (notably the Xanthopoulos brothers, Kallistos and Ignatios). There are two short treatises that expound the physical techniques: The Three Methods of Prayer, attributed to St Symeon the New Theologian, and St Nikiphoros the Monk’s On Watchfulness and Guarding of the Heart, and Palamas’ brief defence of physical techniques from his Triads. Palamas’ distinction between God’s essence and activities is discussed in the 150 Chapters, but other works by Palamas defending this distinction – fundamental for Palamas’ theology – are not included in the Philokalia, notably the third part of the Triads. While it is clearly not false, then, to see the Philokalia as occupying a standpoint that might be regarded as hesychast, and establishing a hesychast perspective, the hesychast culmination seems a little hesitant, and to regard the Philokalia as a whole as representing what Germans might call the Herkunft of Palamism or hesychasm seems unbalanced; it is not until one is two-thirds the way through the Philokalia that the hesychast theme of the Jesus prayer is more than alluded to, and one needs to go still further for the Palamite distinction between essence and activities. It seems, then, that we have to allow St Nikodimos’ scholarly propensities to weigh more heavily than his polemical aims. What we have in the Philokalia is an eclectic selection (eclectic partly for the contingent reasons already mentioned), illustrating the breadth and depth of the Byzantine ascetic and mystical tradition, of works that St Nikodimos says in his introduction “have never in earlier times been published, or if they have, lie in obscurity, in darkness, in a corner, uncherished and moth-eaten, and from there dispersed and squandered”. Yet, if there is less polemical intent in the selection, and more scholarly delight in bringing to the light of day rare works almost forgotten, the collection can hardly be called random. The inclusion of authors like St Diadochos of Photiki, Nikitas Stithatos, and especially St Maximos the Confessor (to whom more pages are devoted than any other author) points to an understanding of theology in which heart and mind — devotion and rigorous thought — are united. How far it is legitimate to see such theologians — to whom one must add St Gregory Palamas — as constituting an axis defining what one might then call a philokalic sense of the coinherence of theology and spirituality is something that may perhaps emerge as we pursue further the influence of the Philokalia. THE PHILOKALIA WAS PUBLISHED in a period when there was a determined attempt to recover the full breadth of the tradition of Greek Orthodoxy, in which attempt St Nikodimos played a central role. The story of the influence of the Philokalia does not however continue in Greece, which achieved independence from the Ottoman yoke in 1832, except spasmodically (there is some evidence of the continuation of philokalic spirituality inspiring some of the mew martyrs in the Aegean islands, for instance, Chios, Paros, Skiathos, and Patmos), but rather in the world of the Slavs. As we have already mentioned, while Sts Makarios and Nikodimos were compiling the Philokalia, St Païsy Velichkovsky was already translating into Slavonic some of the works that came to be included in the Philokalia. When this collection was published in 1793, it was called the Dobrotolubiye, the word being a calque of the Greek Φιλοκαλíα, with no independent meaning as a Slavonic word (and thus simply suggesting to the Slav ear the meaning “love of beauty”), making clear that Païsy thought of it as a rendering of St Makarios and Nikodimos’ collection. St Païsy had come to the Holy Mountain already aware of the tradition of hesychast spirituality. This may ultimately be traceable to the hesychast tradition of St Nil Sorsky and the Non-possessing monks, which may have migrated to the Romanian princedoms of Wallachia and Moldavia during the time of Peter the Great and Catherine the Great. More immediately he owed his knowledge of philokalic spirituality to a Romanian elder, St Basil of Poiana Marului, whom he had met during his period in the monasteries of Moldavia in 1742-6, after his studies at the Moghila Academy in Kiev, and who tonsured him as a monk in 1750 on Mount Athos. It used to be thought that St Païsy had simply selected from the Greek Philokalia in making his translation, but it now looks rather as if his selection derived from similar sources as the Greek anthology, while having close parallels with it (for it may, before publication, have been checked against the Greek text); as Metropolitan Kallistos has put it, “during 1746-75 Paisy, working independently, translated into Slavonic nearly four-fifths of the material [I think that must mean authors] subsequently included in the Greek Philokalia of 1782″. Nonetheless, it is striking what the one-fifth omitted covers: the whole of St Maximos, all the Makarian material, and the whole of St Gregory Palamas. 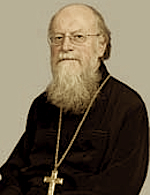 One can no longer think of St Païsy as deleting this material, but it remains that his selection has a very different feel to the selection represented by the Greek Philokalia: the more theologically complex material of the Greek Philokalia is not included, so that the Slavonic Dobrotolyubiye is more straightforwardly ascetical. The Dobrotolyubiye in its Slavonic form was destined to have a remarkable influence. One of the intentions of St Nikodimos, as he makes clear in his introduction, was to make the riches of the tradition represented by it available to all Orthodox Christians, married as well as monastics. Many have detected in this a contradiction, for many of the texts included insist on the importance of personal guidance from an experienced spiritual father (or mother), and where, outside a monastery, is such a guide likely to be found? St Nikodimos was willing to take the risk of these writings being misinterpreted, for the sake of the benefits they would bring, which he felt would outweigh any such danger. St Païsy was more inclined to evade any such contradiction by seeking to have his Dobrotolubiye kept for monastic eyes; it was only at the insistence of Gabriel, Metropolitan of Novgorod and St Petersburg, a friend of the great spiritual master, St Tikhon of Zadonsk, that the Dobrotolubiye was published at all. It certainly seems to be the case that the advance of the Dobrotolubiye among the Slavs went hand-in-hand with an emphasis on the importance of spiritual fatherhood, starchestvo. Disciples of St Païsy brought the Dobrotolubiye and its spirituality to Russia. One of the monks involved, at Metropolitan Gabriel’s behest, in preparing the 1793 edition of the Dobrotolubiye, the monk Nazar, originally from Sarov, and then refounder of the monastery of Valaam on Lake Ladoga, retired to Sarov in 1801, taking a copy of the Dobrotolubiye with him; through him St Seraphim became acquainted with the Dobrotolubiye, though his spirituality was already indebted to the authentic tradition of St Nil Sorsky. It was, however, the monastery of Optino, just over 100 miles to the south-west of Moscow, that rapidly became a centre for this movement of renewal. We catch a glimpse of this in the early chapters of Dostoevsky’s novel, The Brothers Karamazov, in the figure of the starets Zossima, given central importance, but viewed with suspicion by many of his fellow monks. Because of its accessibility from Moscow, Optina Pustyn’ attracted many of the intelligentsia, especially among the Slavophiles; Ivan Kireevsky’s sense of the paramount value of the witness of the Fathers can be seen as reflecting the influence of the Philokalia. For him, “The Holy Fathers speak of a country they have been to”; in their writings the Fathers bear “testimony as eyewitnesses”. This philokalic renewal — among both monastics and lay people who sought spiritual succour from the monasteries — ran in parallel with (whether there was any cause-and-effect, and which way ’round, I do not know) a programme of translation from the Fathers into Russian in the course of the nineteenth century, focused on the Spiritual Academies, with the result that, as Olivier Clément has put it, “at the end of the nineteenth century, Russia had at its disposal, in its own language, the best patristic library in Europe”. THERE ARE TWO FURTHER markers of the influence of the Philokalia in nineteenth-century Russia that could be mentioned. First, St Païsy’s desire to preserve the Dobrotolubiye for monks would have been assisted by the fact that his translation was not into Russian, but into Church Slavonic. Later on in the century, between 1877 and 1889, a translation into Russian, made by St Theophan the Recluse, was published in five volumes. This is based on the Greek Philokalia and “restores” many of the treatises “omitted” by St Païsy, though not entirely. It includes from St Maximos the Centuries of Love, selections from the Theological and Economical Chapters, and five additional “diverse” centuries, as well as the Ascetic Book, but not (rather surprisingly) his commentary on the Our Father; it includes the centuries by Thalassios, and various smaller writings, two of the works of St Gregory of Sinai, and some of the works of St Gregory Palamas, and his Life, but not the 150 Chapters or the Agioritic Tome. A selection of the Makarian Homilies is included from the standard set of 50 Homilies, not, as in the Greek Philokalia, from the paraphrase by Symeon Metaphrastes. Furthermore, a number of authors not present in the Greek Philokalia are included: notably, Ephrem the Syrian, John of the Ladder, Barsanouphios, John and Dorotheos of Gaza, Isaac the Syrian and, especially, Theodore the Stoudite, to whom the whole of volume 4 is dedicated. In addition, the selections from St Antony the Great, Isaias of Gaza, Evagrios, Cassian, Mark the Hermit, and Nilos of Ancyra are supplemented with works not included in the Greek Philokalia of 1782 (the additions under the name of St Antony are no less spurious than the original item, unless one counts the selections from St Athanasios’ Life of St Antony). The long work by Peter of Damascus is omitted, having been already published in Russian. The desire to add what St Païsy had omitted (as St Theophan would presumably have seen it) is clearly one of the Recluse’s motives. There is not much sign of serious scholarly scruples (though this might account for the substitution of Symeon Metaphrastes’ paraphrase of the Makarian material). Palamas’ 150 Chapters were omitted because they contained “a good number of ideas difficult to understand or express” and the chapters of Kallistos Kataphygiotes, because they are “too subtle and largely speculative and syllogistic”, as Theophan put it in his introductions to these works, and similar reasons would account for the omission of chapters from Maximos, Elias Ekdikos, and Nikitas. The texts dealing with physical techniques by Nikiphoros, Pseudo-Symeon, and Gregory of Sinai have been drastically curtailed in the sections dealing with the breathing techniques, because St Theophan had serious reservations about these techniques, as he makes clear. Theophan’s own agenda is very clear, and like St Païsy, he shows a preference for the ascetical, rather than the theological or mystical. This translation by St Theophan went into second and third editions, which have been reprinted; it is the standard Russian translation of the Philokalia, and has been very influential, not only in Russia, but throughout the Slav-speaking world. 2. The difficulty of identifying the “philokalic” collection. [A]nd when with all this in mind I prayed with my hearts, everything around me seemed delightful and marvellous. The trees, the grass, the birds, the earth, the air, the light seemed to be telling me that they existed for man’s sake, that they witnessed to the love of God for man, that everything proved the love of God for man, that all things prayed to God and sang his praise. This apparently artless work has had a tremendous influence, both within and outside the Orthodox world. It famously appeared as a “pea-green book” in J.D. Salinger’s Franny and Zooey. Recent research has revealed something of its background. The familiar version is a later version—edited by St Theophan the Recluse—who made the figure of the spiritual father, the starets, central. It is based on earlier material that has its context in the missionary work of an Orthodox priest, a former Old Believer, Fr Mikhail Kozlov, among the Old Believers with whom the stranniki were popular. It illustrates the paradox of the issue of the accessibility of the Jesus prayer, for St Theophan’s version, edited to bring the spiritual father into prominence, has introduced the practice of the Jesus prayer well beyond circles in which a spiritual father could be found—even beyond the boundaries of Orthodoxy, or any traditional form of Christianity. WE MUST CONTINUE THIS account of the material influence of the Philokalia throughout the Orthodox world by going back to the country that can lay claim to its origins: Romania. Here the story is not dissimilar to that in Russia. St Païsy’s disciples carried the tradition of philokalic spirituality from Neamts to other monasteries in Moldavia and Wallachia; notable figures include St Callinic of Cernica (1787-1867). The latter half of the nineteenth century saw a decline in monasticism, but the philokalic tradition continued, and in the twentieth century the tradition was found in the monastery of Sihastria, restored by the starets Ioanichie Moroï, amongst whose disciples were counted Fr Païsie (1897-1993) and the renowned Father Cleopa (1912-98). In Transylvania, another monastery, destroyed in the eighteenth century by the Austrians, and restored in 1935 by Metropolitan Nicolae Balan (1882-1955), Sîmbata de Sus, became a centre of philokalic spirituality under its starets, Arsenie. In nearby Sibiu, one of the professors in the Orthodox Theological Faculty was Fr Dumitru Staniloae, one of the first to conduct firsthand research on St Gregory Palamas, working in the 1930s on the manuscripts held in Paris, where he encountered the lay Catholic intellectuals, Maurice Blondel, Gabriel Marcel, and Jacques Maritain. Fr Dumitru’s lifework was to be the Romanian Filocalia, the first four volumes of which appeared in Sibiu between 1946 and 1948. The continuation of the venture was prevented by the communist regime, which took over in 1948, and was only resumed in 1976, now in Bucharest, to which Staniloae had moved in 1948, the final eight volumes appearing 1976 and 1991. Fr Staniloae’s Filocalia is rather different from either the Greek or Slav versions. Although the authors are much the same, instead of translating the texts as they appeared in the original Greek version of the Philokalia, Fr Dumitru went back to the original works—in many cases to the complete texts, when only a selection or a paraphrase had appeared in the Greek Philokalia. Instead of the ‘Diverse Chapters’ of St Maximos, which are for the most part a selection in the form of chapters from Maximos’ Questions to Thalassius, Staniloae gives the whole of the Questions (and, for good measure, adds the whole of what was then known of the Quaestiones et Dubia). Again, with St Symeon the New Theologian, Staniloae gives complete translations from modern critical editions. Like Theophan in his Dobrotolubiye, he adds texts from Barsanouphios, John, and Dorotheos of Gaza (using the critical edition in Sources Chrétiennes in the case of Dorotheos), includes the Ladder of Paradise of St John of Sinai, and devotes a whole volume to St Isaac the Syrian (he does not, however, include anything from Theodore of Stoudios), as well as adding a ‘Romanian’ appendix to volume 8 (including texts from the elder Basil of Poiana Marului, and some others). Separately from his Filocalia, Fr Dumitru published many other patristic texts by St Athanasios, St Gregory the Theologian, St Cyril of Alexandria, Dionysios the Areopagite, St Maximos the Confessor, St Symeon the New Theologian, and St Gregory Palamas. Furthermore, in all these translated works, including the volumes of the Filocalia, Fr Dumitru provided succinct commentaries, and not just the introductions St Nikodimos and St Theophan had provided in their versions. These commentaries recognize that publication in print means that these is no way of controlling who will read these texts, so that some guidance, which would ideally be provided by a spiritual father, is necessary; this is provided by Fr Staniloae’s commentary. THE MATERIAL INFLUENCE OF the Philokalia in the rest of Europe is still largely a story of the influence in the Orthodox world, though translations in English, French, German, etc. inevitably—and designedly—reached a wider readership. In English, the first volumes of translations from the Philokalia were made by a Russian émigrée, E. Kadloubovsky, and an English philanthropist, G.E.H. Palmer, from St Theophan’s Dobrotolubiye. The first volume was a selection called Writings from the Philokalia on the Prayer of the Heart (1951), which as the title suggests, is mostly on the Jesus prayer. The first part of the selection, in fact, consists of the works mentioned to the pilgrim by his spiritual father as what to read first in the Philokalia, with a few supplements, followed in parts 2 and 3 with further selections from Hesychios of Jerusalem, Philotheos of Sinai, Sts Barsanouphios and John of Gaza, Theoliptos of Philadelphia, and St Philemon the Abba. It is a selection that focuses on the practice of the Jesus prayer, and includes two of the treatises on the physical techniques of prayer (in St Theophan’s abbreviated form). It presents very much the devotional aspect of the Philokalia. A further volume, called Early Fathers from the Philokalia (1953), contained passages from ‘St Antony the Great’, St Mark the Monk, Evagrios, St Neilos of Sinai (in fact Evagrios’ On Prayer), St Dorotheos of Gaza, St Isaac the Syrian, St Maximos’ Four Centuries on Love plus a selection from Theophan’s selection from the seven further centuries (the two authentic centuries on Theology and the Economy, and the five confected centuries), and a brief selection from Theodore of Edessa, with a couple of short appendices from St Gregory Palamas and his Life. Again, the emphasis is on the devotional aspect of the Philokalia. Along with these selections from the Dobrotolubiye, Kadloubovsky and Palmer also translated Theophan’s revision of Nikodimos’ Unseen Warfare (published in 1952), based on a couple of works by the Theatine Lorenzo Scupoli, which drew unusual attention to the Western affinities of the two men most associated with the Philokalia, itself a rigorously Orthodox selection of texts, and somewhat later Kadloubovsky (this time with E.M. Palmer) translated a work, called in Russian, Mental Art: On the Jesus Prayer, a selection made by Igumen Chariton of Valaam mostly from the writings of St Theophan dealing with the Jesus Prayer (1966, as The Art of Prayer: An Orthodox Anthology). These further underline the practical, devotional aspect of the Philokalia. Still later, G.E.H. Palmer, together with Philip Sherrard and Kallistos Ware, began to bring out an English translation of the Philokalia, based on the original Greek version. This was a rather different venture that strove to pursue a middle course, respecting the integrity of the Philokalia of St Makarios and St Nikodimos, while at the same time observing the canons of philological scholarship. Indeed, it was different, not only from Kadloubovsky and Palmer’s translation of selections from Theophan’s Russian, but from all the versions we have surveyed. For it made no attempt to supplement or select from the text of the original Philokalia of 1782; there were only two kinds of changes: first, critical editions, which available, were used, rather than the text produced in 1782, and secondly, Nikodimos’ prefaces (even his preface to the whole work) were replaced with their own, reflecting the views of current scholarship with regard to date, authenticity, and so forth. This entailed two significant changes from the original version: the selection from St Antony was relegated to an appendix, as they are none of them authentic, nor even Christian, and On Prayer, ascribed to St Neilos, is restored to Evagrios. In many cases, too, pseudonymity is acknowledged. This edition, projected in five volumes, is still incomplete. THE STORY IN FRANCE is very similar, save for one matter: while the story of the English Philokalia tells of the endeavours of Orthodox scholars and translators (just one assistant translator was Catholic at the time, though no longer), the French story begins with a selection presented by a Catholic, reminding us how much the movement of recourse to the Fathers—ressourcement—in France was primarily a Catholic movement, from which Orthodox benefited (although perhaps to some extent inspired). This short book, Petite Philocalie de la Prière du Coeur, translated and introduced by Jean Gouillard, consists of brief selections from a wide range of writers from the Philokalia—twenty-one in all. Right from the beginning we sense a certain freedom, inspired by scholarly considerations: the chapters ascribed to St Antony are replaced by a selection from the Apophthegmata Patrum; Evagrios is represented by a selection from his On Prayer, ascribed in the Greek Philokalia to St Neilos; the selection from the Makarian Homilies abandons the Metaphrastic version reproduced by Nikodimos, and gives a selection from various more authentic collections, including the Coptic cycle, which aligns the saying of the Jesus prayer to breathing; Barsanouphios and John, Isaac the Syrian, John the Ladder are also included; and the treatises on the physical techniques are not missing. The title suggests a devotional anthology focusing on the prayer of the heart, and this is made unavoidable by the very brevity of the selections. The complete text of the Philokalia was published by the then Dean of the Institut St-Serge, Fr Boris Bobrinskoy, between 1979 and 1991; a further translation in two volumes (a re-edition of Père Boris’ translation) was published, presented by Olivier Clément, in 1995. THE STORY OF TRANSLATIONS and editions could go on, but let us leave it for now. What we have seen is a more complex story than we might have expected. It is not the story of the translation and edition of some editio princeps, rather it is the story of the spread and influence of a way of prayer and a way of life, represented by a group of texts that take different forms and themselves emerge from various collections about which we are as yet not well informed. There are certain features that characterize the “Philokalia“, in all its forms: the practice of the Jesus prayer as a way of attaining the prayer of the heart is a constant, sometimes exclusively so, at other times as the heart of an approach to God that embraces a much wider range of texts than would be included under the term “devotional”; the sense that the hesychast controversy and the Palamite defence of the hesychasts was a determining event for Orthodox prayer, spirituality, and theology; a sense of a continuing tradition that can be traced back to the fourth century, at least, a tradition that one must call “patristic”; a sense of this tradition as a living tradition, passed on from generation to generation, and not simply a tradition of texts. What does all this add up to? How is one to characterize what we have called the “noetic” influence of the Philokalia? The difficulty of identifying the “philokalic” collection is not just a perhaps rather complex problem; rather it is intrinsic. The very freedom with which the various anthologies calling themselves the “Philokalia” have been fashioned—with a still somewhat fluctuating core, with various works added or overlooked for a variety of apparently contingent reasons, with a critical sense that varies from the minimal (though never altogether absent: even the Slavonic Dobrotolubiye, though primarily devotional, still has a sense of critical allegiance to the Greek manuscripts on which it is based) to a desire to present texts in the most up-to-date critical form (as in the diaspora, and also with Fr Dumitru’s Romanian version)—points to the fact that the texts are not self-sufficient but witness to a living (though sometimes only just living) tradition of prayer, understood as an ascetic and mystical exercise (“the practice and contemplation of ethical philosophy”) by which, in synergy with the grace of the Holy Spirit, “the mind [intellect, or nouz] is purified, illuminated, and brought to perfection”, as it is stated on the title-page of the 1782 Greek edition. THIS TRADITION OF PERSONAL prayer and asceticism that both presupposes the sacramental life of the Church (as St Nikodimos’ introduction makes clear) and makes possible a genuine engagement in that sacramental life of grace is what is fundamental. This means that we have to be aware, not just of the material succession of the various edition of the Philokalia, but of the living flow of the tradition of prayer throughout the ages (which the monastic life is intended to foster, but which is not restricted to the monastic order), it we are to appreciate the ‘noetic’ influence of the Philokalia. We need, therefore, to pay attention, not just to movements of life and thought clearly associated with the textual tradition of the Philokalia, but also to movements anterior to, or even apparently independent of, that textual tradition. We need to pay attention to the movements centred on Optima Pustyn’ in nineteenth-century Russia, the revival of philokalic piety in mid-twentieth-century Greece, with enders such as Joseph, Païsios, Porphyry, Aimilianos, the philokalic revival in Romania, associated with Fr Staniloae’s translation, and the revival of monasteries in the early part of the twentieth century that endured persecution under the communists, and other similarly obvious examples of the influence of the Philokalia. But we need to pay attention, too, to Sarov and St Seraphim, even though the saint’s spiritual roots go back before anything identifiably philokalic, to other movements of monastic renewal in eighteenth- and early nineteenth-century Russia, which prepared the soil, as it were for the seeds of the Philokalia, to the movement of intellectual renewal associated with Solov’ev, Florensky, and Bulgakov—and even with Dostoevsky—partly because of the importance for them of Optino, and partly for the role the tradition of prayer manifest in hermits and elders played in their understanding of the Christian life (think of Fr Florensky’s devotion to his starets, Isidore, or the role of hermits in Fr Bulgakov’s return to the faith). We might also think of St Nektarios of Aegina, even more evidently Fr Justin Popovitch of Serbia, whose theology breathes an authentically philokalic spirit; and certainly of St Silouan of Mount Athos, his disciple Fr Sophrony, and his disciples. I want to conclude by suggesting, very tentatively, what might be meant by a philokalic style, or tenor, of theology. It was, it seems to be, likely that it was in response to his encounter with the Dobrotolubiye that the Slavophile, Ivan Kireevsky, came to speak of the Fathers as bearing “testimony as eyewitnesses” and speaking of ‘a country that have been to’. A sense of the patristic tradition as our inheritance as Christians seems to me central to the Philokalia, and in several ways: objectively, there is a sense of who the Fathers are, and the inclusion of St Maximos and St Gregory Palamas, in particular, makes it clear that the great patristic witnesses revered by us Orthodox—the great hierarchs and universal teachers, St Basil the Great, St Gregory the Theologian, and St John Chrysostom, SS Athanasios and Cyril of Alexandria, St Gregory of Nyssa, celebrated by the Church, together with St Maximos, in the latter part of January (with St Photios not far away)—are prominent in this their native land, but remembered alongside ascetics and mystics who live out the theology they proclaimed; but subjectively there is the sense of the Fathers as precisely our fathers and (in principle) mothers, those to whom we owe our faith, those who have nurtured us in the faith. Furthermore, we participate in this tradition not just by learning (though learning is important, as St Nikodimos’ example makes clear), but by praying, by living out the theology we discern and proclaim. The Philokalia—both as text and life—initiates us into a participation in the divine life, the divine energies, by—as we have just heard—a process of purification, illumination, and perfection. That terminology, that process, is also applied by the Fathers to the activation and practice of the spiritual senses, the ways in which we perceive, as it were, by feeling, sensing, the movement of the Holy Spirit, in ourselves, in others, in the world. What we are seeing here is something that goes beyond reading and understanding, and is more like participation and assimilation. Fr Pavel Florensky (with Sergius Bulgakov). The indefinability of Orthodox ecclesiality, I repeat, is the best proof of its vitality… There is no concept of ecclesiality, but ecclesiality itself is, and for every living member of the Church, the life of the Church is the most definite and tangible thing that he knows. But the life of the Church is assimilated and known only through life—not in the abstract, nor in a rational way. If one must nevertheless apply concepts to the life of the Church, the most appropriate concepts would be not juridical and archaeological ones but biological and aesthetic ones. What is ecclesiality? It is a new life, life in the Spirit. What is the criterion of the rightness of this life? Beauty. Yes, there is a special beauty of the spirit, and, ungraspable by logical formulas, it is at the same time the only true path to the definition of what is orthodox and what is not orthodox. The connoisseurs of this beauty are the spiritual elders, the startsy, the masters of the ‘art of arts’, as the holy fathers call asceticism. The startsy were adept at assessing the quality of the spiritual life. The Orthodox taste, the Orthodox temper, is felt but it is not subject of arithmetical calculation. Orthodoxy is shown, not proved. That is why there is only one way to understanding Orthodoxy: through direct orthodox experience… [T]o become Orthodox, it is necessary to immerse oneself all at once in the very element of Orthodoxy, to begin living in an Orthodox way. There is no other way. There we find a succinct statement of the true philokalic tenor of theology; it is in tracing that that we trace the ‘noetic’ influence of the Philokalia. Kallistos Ware, ‘St Nikodimos and the Philokalia’, in Dimitri Conomos and Graham Speake (eds), Mount Athos the Sacred Bridge. The Spirituality of the Holy Mountain (Oxford: Peter Lang, 2005), pp. 69-121, here p. 72. I owe a great deal to this immensely valuable article on the context of the Philokalia. Both available in English translations: Hieromonk Patapios and Archbishop Chrysostomos, Manna from Mount Athos. The Issue of Frequent Communion of the Holy Mountain in the Late Eighteenth and Early Nineteenth Centuries (Byzantine and Neohellenic Studies 2, Oxford: Peter Lang, 2006), which contains a translation of Concerning Frequent Communion; Nicodemos of the Holy Mountain, A Handbook of Spiritual Counsel, trans. Peter Chamberas (Mahwah, NJ: Paulist Press, 1989). For most of the facts cited in this paragraph, see Ware, ‘St Nikodimos’, esp. pp. 85-105. There is no real English equivalent to Herkunft: ‘origin’ or ‘heritage’ comes close. Philokalia (Venice, 1782), p. 6. See Placide Deseille, La Spiritualité orthodoxe et la Philocalie (Paris: Bayard Éditions, 1997), p. 230. On which see George A. Maloney SJ, Russian Hesychasm. The Spirituality of Nil Sorsky (The Hague — Paris: Mouton, 1973). Ware, ‘St Nikodimos’, pp. 104-5; see also Deseille, La Spiritualité orthodoxe, pp. 61-4. Ware, ‘St Nikodimos’, p. 101. See, e.g., Ware, ‘St Nikodimos’, pp. 106-9. See the last two pages of St Nikodimos’ introduction: Philokalia (Venice, 1782), pp. 7-8. See Ware, ‘St Nikodimos’, p. 108; Deseille, La Spiritualité orthodoxe, p. 64. Deseille, La Spiritualité orthodoxe, pp. 235-6. From Kireevsky’s ‘Fragments’: translation in On Spiritual Unity. A Slavophile Reader, translated and edited by Boris Jakim and Robert Bird (Hudson, NY: Lindisfarne Books, 1998), pp. 248, 243. O. Clément, ‘Les Pères de l’Église dans l’Église orthodoxe’, in Connaissance des Pères de l’Église, 52 (December 1993), 25-6, quoted by Boris Bobrinskoy in ‘Le renouveau actuel de la patristique dans l’orthodoxie’, in Les Pères de l’Église au XXe siècle. Histoire—Littérature—Théologie (Paris: Cerf, 1997), pp. 437-44, here p. 440 (though England, as a result of the endeavours of the Fathers of the Oxford Movement, must have run Russia a close second). The Way of a Pilgrim and The Pilgrim continues his Way, trans. R.M. French (London: SPCK, 1954), p. 31. See the introduction to The Pilgrim’s Tale, trans. Aleksei Pentkovsky (Mahwah, NJ: Paulist Press, 1999), and the articles on which it is based in Simvol 27 (Paris, 1992). For this, see Deseille, La Spritualité orthodoxe, pp. 245-8, and the article by ‘Un moine de l’Église de Roumanie’ (= André Scrima), ‘L’avènement philocalique dans l’Orthodoxie roumaine’, in Istina (1958), 295-328, 443-74, which is not so much about the philokalic influence in Romania, but a part of it. See The Way of the Pilgrim, pp. 38-9. The selection was apparently suggested to Kadloubovsky and Palmer by their spiritual father, Fr Nikon; it is also very similar to the preliminary reading list given by Metropolitan Kallistos in his article, ‘St Nikodimos’, pp. 118-19. The Philokalia. The Complete Text, compiled by St Nikodimos of the Holy Mountain and St Makarios of Corinth, translated from the Greek and edited by G.E.H. Palmer, Philip Sherrard and Kallistos Ware, vols. 1-4 (London: Faber & Faber, 1979-95); vol. 5 is still to appear. See my article, ‘French Ressourcement Theology and Orthodoxy: a Living Mutual Relationship’, in Gabriel Flynn and Paul Murray (eds), Ressourcement: A Movement for Renewal in Twentieth-Century Catholic Theology (forthcoming). Petite Philocalie de la Prière du Coeur, translated and presented by Jean Gouillard (Documents spirituels 5, Paris: Cahiers de Sud, 1953; later reissued as livre en poche in Collections Points Sagesse 20, 1979). Philocalie des Pères neptiques, presented by Père Boris Bobrinskoy, 11 fascicules (Abbaye de Bellefontaine, 1979-91); La Philocalie, presented by Olivier Clément, translation and notes by Jacques Touraille, 2 vols. (Paris, 1995). I owe some of these insights to Fr Placide Deseille’s La Spiritualité orthodoxe et la Philocalie. Archimandite Sophrony (Sakharov), Saint Silouan the Athonite (Stavropegic Monastery of St John the Baptist, Essex, 1991), pp. 72, 292; cf. pp. 82-3, 301-2. I am grateful to my colleague, Dr Krastu Banev, for finding these references. Pavel Florensky, The Pillar and Ground of the Truth, translated by Boris Jakim (Princeton, NJ: Princeton University Press, 1997), pp. 8-9. The Revd Professor Andrew Louth, FBA, FSA, is Professor of Patristic and Byzantine Studies at the University of Durham. He previously taught at Oxford and the University of London. Fr Andrew is an expert in the history and theology of Eastern Christianity, the editor of the journal Sobornost, and editor, with Professor Gillian Clark of Bristol University, of Oxford Early Christian Studies. This essay first appeared, in a slightly different form, as “The influence of the Philokalia in the Orthodox World” in The Friends of Mount Athos Annual Report 2010. It was manually transcribed by The Fortnightly Review for republication in the New Series with the permission of the author. See also Cosmos, Life, and Liturgy, by Juliet du Boulay, and The mosaic of the Transfiguration at St Catherine’s by Prof Cyril Mango, both published here in the New Series. This Fortnightly Review article is filed under the following rubrics: Books & Publishing, Principal Articles, The Fortnightly Review of Books, Theology. Publication: Thursday, 2 June 2011, at 21:00. Options: Archive for Andrew Louth. Bookmark the permalink. Follow comments here with the RSS feed. Post a comment or leave a trackback.